Definition at line 4196 of file CCopasiXMLParser.h. Definition at line 4203 of file CCopasiXMLParser.h. Definition at line 12291 of file CCopasiXMLParser.cpp. Definition at line 12296 of file CCopasiXMLParser.cpp. Definition at line 12460 of file CCopasiXMLParser.cpp. References CCopasiMessage::EXCEPTION, CCopasiXMLParser::mCommon, MCXML, CExpatTemplate< CExpat >::mParser, SCopasiXMLParserCommon::pText, CLText::setText(), START_ELEMENT, and UNKNOWN_ELEMENT. 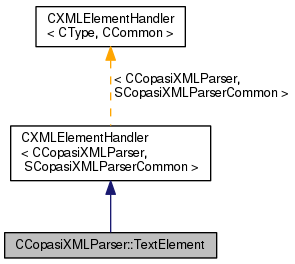 Definition at line 12301 of file CCopasiXMLParser.cpp. 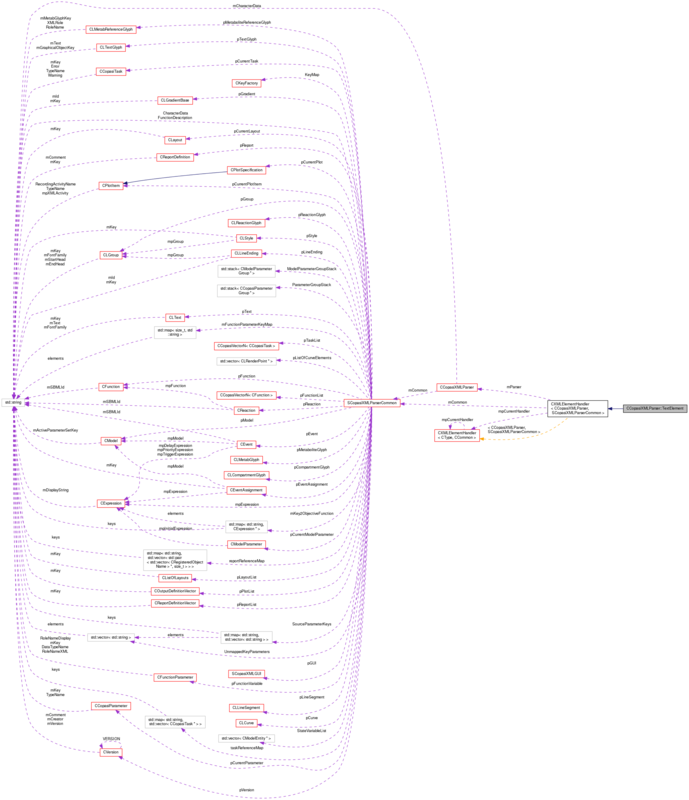 References CLGroup::addChildElement(), CLText::ANCHOR_BOTTOM, CLText::ANCHOR_END, CLText::ANCHOR_MIDDLE, CLText::ANCHOR_START, CLText::ANCHOR_TOP, CCopasiMessage::EXCEPTION, CLGroup::getElement(), CLGroup::getNumElements(), CCopasiXMLParser::mCommon, MCXML, CExpatTemplate< CExpat >::mParser, CLGraphicalPrimitive1D::parseDashArray(), CLTransformation2D::parseTransformation(), SCopasiXMLParserCommon::pGroup, SCopasiXMLParserCommon::pText, CLText::setCoordinates(), CLText::setFontFamily(), CLText::setFontSize(), CLText::setFontStyle(), CLText::setFontWeight(), CLGraphicalPrimitive1D::setStroke(), CLGraphicalPrimitive1D::setStrokeWidth(), CLText::setTextAnchor(), CLText::setVTextAnchor(), strToDouble(), CLText::STYLE_ITALIC, CLText::STYLE_NORMAL, UNKNOWN_ELEMENT, CLText::WEIGHT_BOLD, and CLText::WEIGHT_NORMAL.